8 new songs from the Baton Rouge rapper. 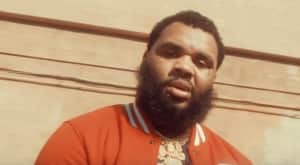 After years spent expanding his legendary regional status to the national market, Baton Rouge, Louisiana rapper Kevin Gates finally released his proper major label debut, Islah, in January. With the success of singles like "Really Really" and "Two Phones" still building, Gates has released the Murder For Hire 2 EP. Over 8-tracks, Gates handles the vocals completely on his own save for a singular feature from OG Boobie Black. Stream Kevin Gates' Murder For Hire 2 EP below via Apple Music.